How Dania Furniture Ruined My Life Forever: Dania Furniture in Spokane WA. Haunted and Likely Awful. Dania Furniture in Spokane WA. Haunted and Likely Awful. Spokane, Washington (AKA Spokompton) is located in eastern Washington, close to the Idaho border. It's the second largest city in the state, clocking in at 200,000+ in population (mostly white), and is the urban hub for the eastern end of the state. Blue collar industries drive the economy for the city and nearby areas. While Spokane is a large city with a small town feel, it does have its fair share of notoriety, including being the hometown of old skool, super famous actor/singer Bing Crosby. His memory lives on perpetuity, as the city preserved the home he grew up in as a part of Gonzaga University campus. Furthermore, his the Bing Crosby Theatre keeps the city entertained by drawing in national, performance arts. Generally speaking, Spokane is a down-to-earth area that is a large city alternative in Washington that doesn't boast the high-density, urban settings like the Seattle/Bellevue area on the west side of the state. That being said, they are not immune to having an awful Dania in their area, which is believed to be haunted. Yes, that's right, we're talking about ghosts. According to the local paper, Inlander, reports have recently flooded in with actual real-life accounts of seeing supernatural/afterlife beings in the store. No word on whether these are mean or nice ghosts, but either way, it sounds pretty scary. It makes us wonder what Spokomptonites fear more...dealing with Dania's notoriously notorious customer service, or the supernatural. We're guessing the former over the latter. Logic guides us to the only sound conclusion that these ghosts are most likely deceased, former Dania customers that are super angry about their customer experience. These bitter afterlifers are therefore content to haunt that store for all eternity...or is there potential for them to expand to other locations? Based on our extensive knowledge on this, we believe this to be absolutely likely, if it hasn't already begun. And we thought we're bitter and angry! Remember, folks, we cannot vouch for the quality of the furniture, or the customer experience, but we're confident that these are much better alternatives. If you know of a furniture store we should include in our listings, please feel free to contact us at daniascrewedme @ gmail.com, and we'll be sure to include your information. Complete Suite Furniture - so they're not going to get props for having a dope page, but nothing compares to shopping from a family-owned regional chain that isn't Dania. Right? National Furniture Store - let's face it, this is old person's furniture, but a billion times better than the kind of garbage you'll find at Dania. To their credit, they seem to have some great sales, warranties, and seem very customer-oriented. Dania could learn a lot from them, if it were capable of learning. Spokane Furniture Company - wide selection of stuff to put your stuff inside, onto and in between, as well as stuff to sit or sleep on. Unlike Dania, they sell their gear online, so make haste and get your order on! Tin Roof - great array of furniture, designed by local artisans with a community focus. Worth a visit, at least. Walker's Furniture - it looks like everything they sell is on sale. No joke - this is your spot, coupon cutters! Visit the OCCUPY Dania Page for more information on real furniture alternatives in other areas. 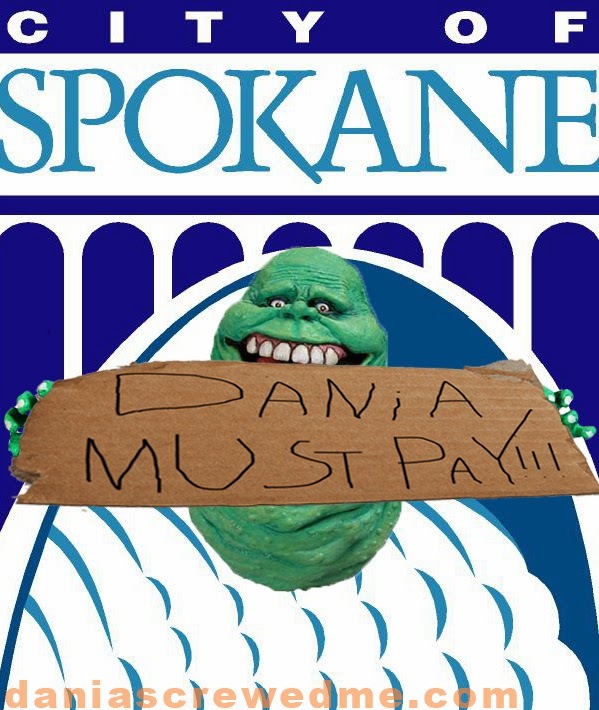 Labels: bing crosby, dania in spokane, ghosts, most ridiculous local review to date, slimer, spokompton, spooky, who you gonna call?